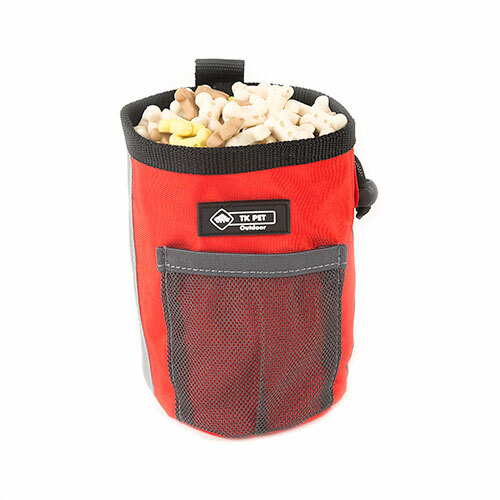 The treats bag for dogs TK-Pet Nepal is the perfect place to easily carry snacks or treats for your pet supplement. 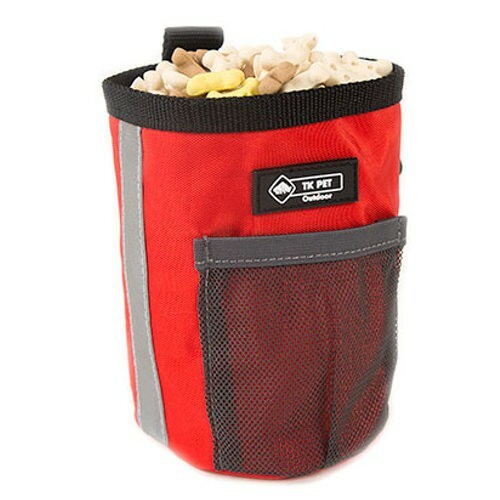 This little bag is designed for your convenience only have to enter inside the snacks so fond of your pet and use them as a reward when you have good behavior. This functional portal awards Tk-Pet allows you greater freedom of movement, as its special design makes hitch can wear attached to your belt with a single clip leaving your hands free. 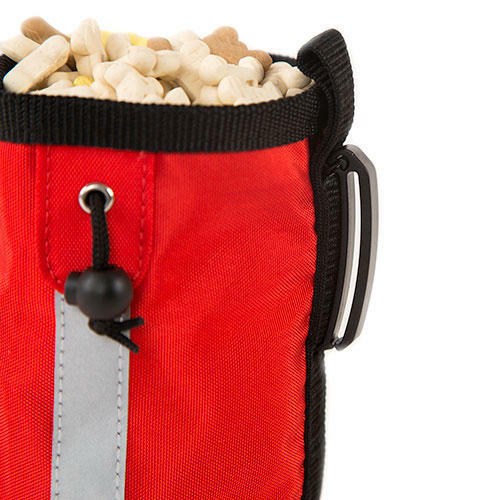 Nepal training bag carries a reinforced edge to protect snacks or treats you carry inside. This carries prizes for dogs is made with high quality materials. The seams made with high quality nylon make it stronger and more durable, besides being a waterproof material. The TK-Pet Nepal bag has an adjustable rope with which you can get the rewards of your pet quickly and easily. In addition, easy cleaning makes may have provided optimal conditions. Educate your dog more effectively. With this accessory for dog training you can teach your dog to behave properly using the reward system. 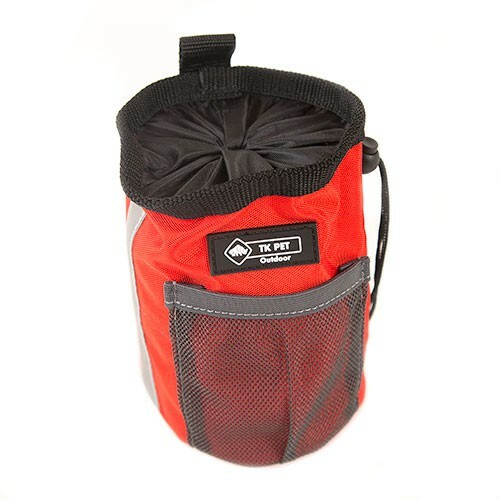 With the bag holder Nepal awards always have handy your favorite snacks or treats to provide them at any time. You will make your pet associate good behavior with the pleasure of a good prize. Carrying bag awards to bring snacks on the rides and train comfortably. Functional hitch that allows greater mobility, leaving your hands free. 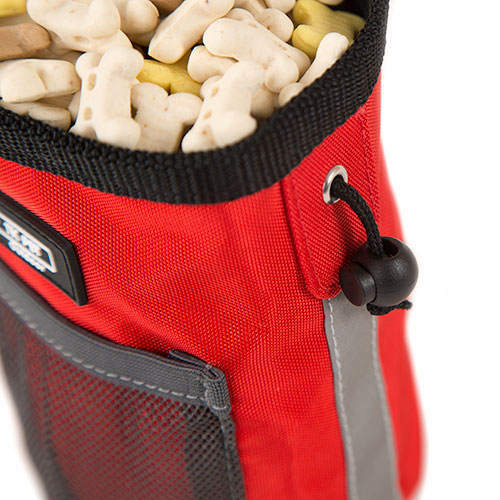 Adjustable rope to access quickly and easily to your pet's favorite snacks. Accessory made of high quality resistant nylon. Easy to clean with a damp cloth to keep the bag always in top condition. Practice bag high quality nylon with reinforced edge carries snacks for dog training based on the reward system, with adjustable strap and belt clip for freedom and comfort. The bag easily washed with soapy water. Product made for use with pets. Red and black (black top and front hairnet gray). 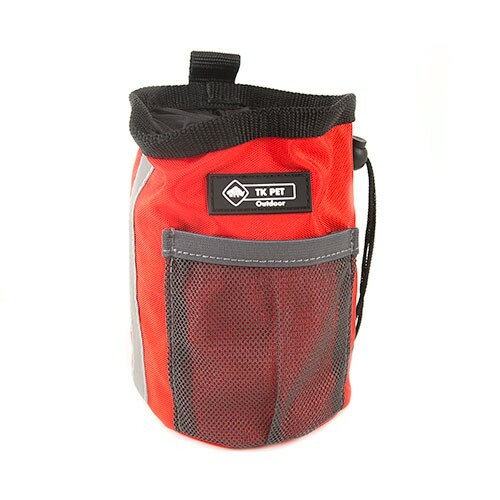 With the treats bag for dogs TK-Pet Nepal will compensate the good behavior of your pet daily walks.